Make sure your passport and vaccinations are up to date! Before travelling, it’s really important to check that your pet’s passport and vaccinations are all up to date to make sure you comply with the requirements set out by the Pet Travel Scheme (PETS). Your pet will need to be micro-chipped to validate their passport, if your pet already has a chip it’s worth asking your vet to confirm its location if it’s not been scanned for a while so it’s easy to find when officials come to scan it at the port. Your pet will also need to be rabies vaccinated at least 21 days before you travel and keep up with booster jabs to keep your pet travel-ready. Travel by ferry and book a pet friendly cabin or kennel! 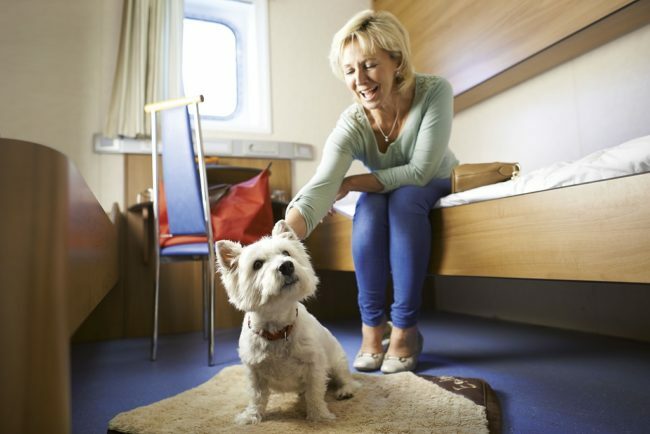 A ferry is a great choice for dog-friendly travel! 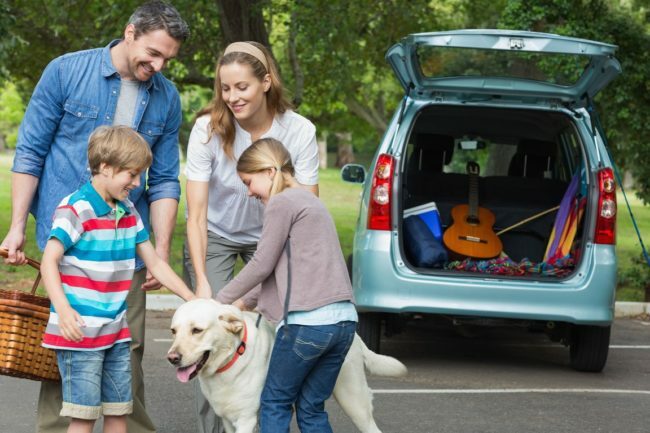 Brittany Ferries has several options for travelling with dogs so you can choose the one that suits your family best. On most routes your pet will be able to stay in your car for the duration of the crossing. You are not allowed to remain with them on the car deck for safety reasons, but your car will be marked with a special ‘pet sticker’ and parked in a designated area to allow staff to check on dogs throughout the journey. 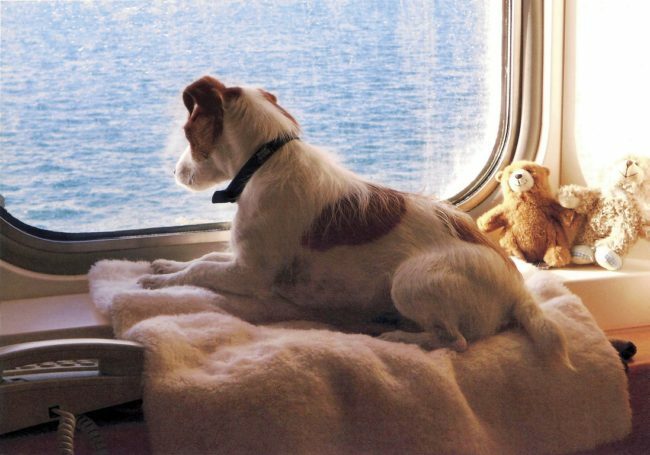 Some Brittany Ferries ships offer kennels and/or pet-friendly cabins; these are very popular so book well in advance to avoid disappointment! You’ll need to follow the ship’s guidelines about transferring your pet to the kennel or cabin and they will need to wear a muzzle during this time. You can buy a wide range of dog food in French supermarkets but you may not find all of your usual brands. If your dog is sensitive to diet changes you might want to bring their food with you to keep them happy throughout your holiday. Be sure to keep plenty of water with you during your journey and try to break the journey up into small chunks as long car journeys can be a challenge for some dogs. 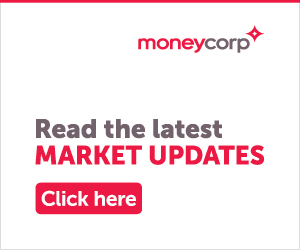 Make regular stops for comfort breaks – there are plenty of ‘Aires’ along the motorways. These wooded picnic spots are particularly dog-friendly and offer drinking water taps to fill water bowls and bottles. There are plenty of pet friendly attractions to visit in France with many beaches accepting pets even in the peak summer months. 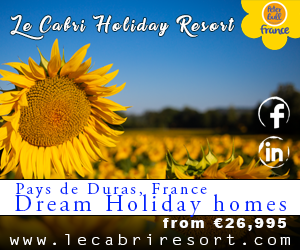 The owner of the property you are staying in will be able to provide you with information about nearby local attractions and to help you and your furry friend have the best holiday in France. Many restaurants in France welcome dogs which means you can also bring your four legged family member along for meal times! Some restaurants will also provide water and treats for your pet. Staying in unfamiliar surroundings can sometimes be unsettling for pets, but by bringing their usual bed and a few of their favourite toys you can help them to feel settled and more at home in your rental property. 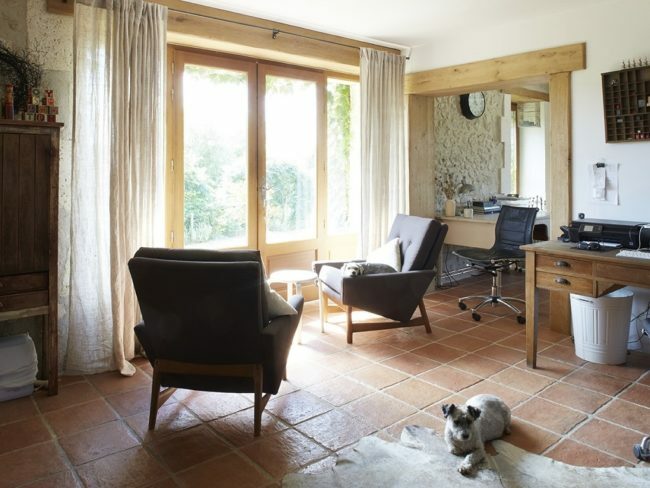 The owner of the property you are staying at will be able to recommend a good local vet and can help you make the necessary arrangements for your dog to be treated for tapeworm before returning to the UK. You’ll need to take your dog to be treated for tapeworm between one and five days before you return to the UK. The treatment will need to be recorded in your pet’s passport by the administering vet ready for your return ferry crossing. It’s not just dogs that can travel to France! You can also get pet passports for your cats and ferrets and many other small animals can travel without a passport, provided you declare them on your booking and have all the necessary paperwork for any exotic pets. 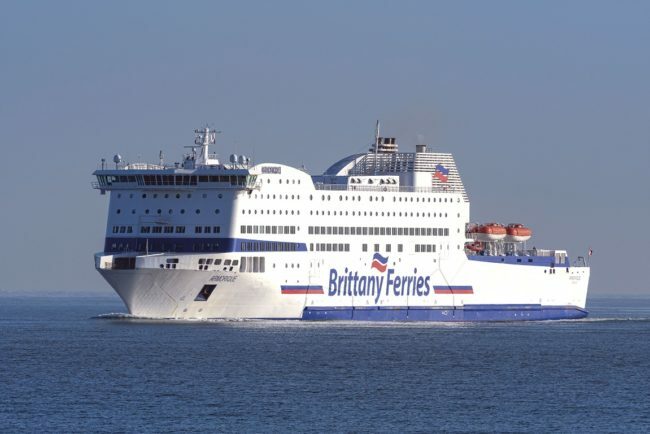 The only animals that Brittany Ferries won’t allow you to travel with are rabbits due to a 400 year old French maritime superstition.